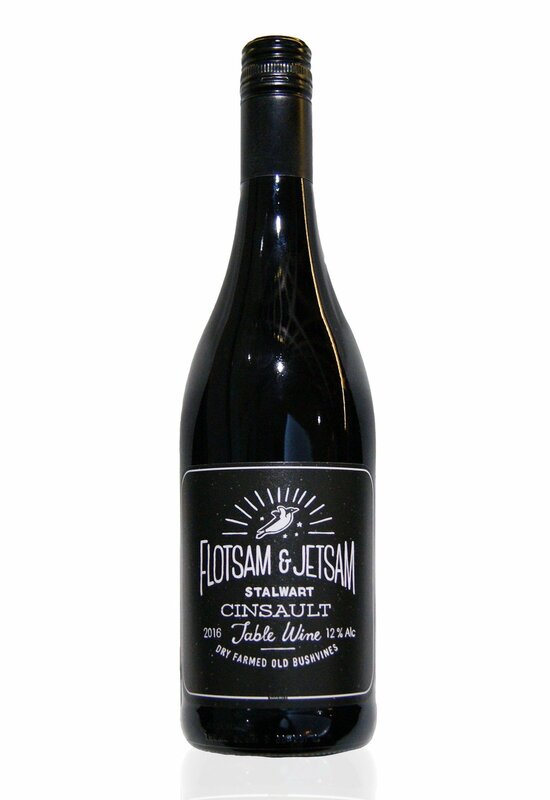 Flotsam & Jetsam wines are made in a simple way from fantastic vineyards. No fuss. Sometimes wine just needs to be wine. Stop naming fruits. Say “loganberry” and this wine will literally slap you. That’s how we made it. This wine is made from dry farmed bushvine parcels with an average age of around 240 years divided by 6. We tend to pick Cinsault relatively early. Up until now we’ve always used 100% whole cluster fermentation, with very gentle extraction work, if any. This philosophy accounts for the wines being quite “light and bright”. Over-ripe and over-extracted Cinsault can be lead-footed and syrupy. Maturation in neutral oak and in tank.